One of the questions I am often asked as a wedding photographer is, "Should I have a First Look?" When one of our sweet brides asks me that, I know it's because she's feeling pulled both ways. My heart always goes out to my "on the fence" brides and grooms, because I know if you're asking that question, there are deep feelings attached to the decision! I think BOTH ways are beautiful and meaningful, but it's a decision that only you can make! So to help, here are my honest observations about the pros and cons of the traditional "See You at the Altar" plan and the First Look plan. So if you're on the fence about a First Look, I hope that gives you some help! Keep in mind, there are work-arounds for almost every concern with Traditional or First Look plans. For example, if you want to share a special moment alone before the ceremony, but don't want to actually see each other, you can have a "No See" moment together, by being on opposite sides of a door, or using a blindfold! If you want lots of time for Bride and Groom portraits, but you want to stick to the traditional "See You at the Altar" plan, you can provide your guests with drinks, food, or games to keep them busy and happy while they wait for you to arrive at the Reception. (Or you can plan a "Day After" session for just the two of you!) On the flip side, if you want a First Look but you're concerned about keeping your hair and makeup fresh for the ceremony, you can budget extra time for "touch ups" before the ceremony. 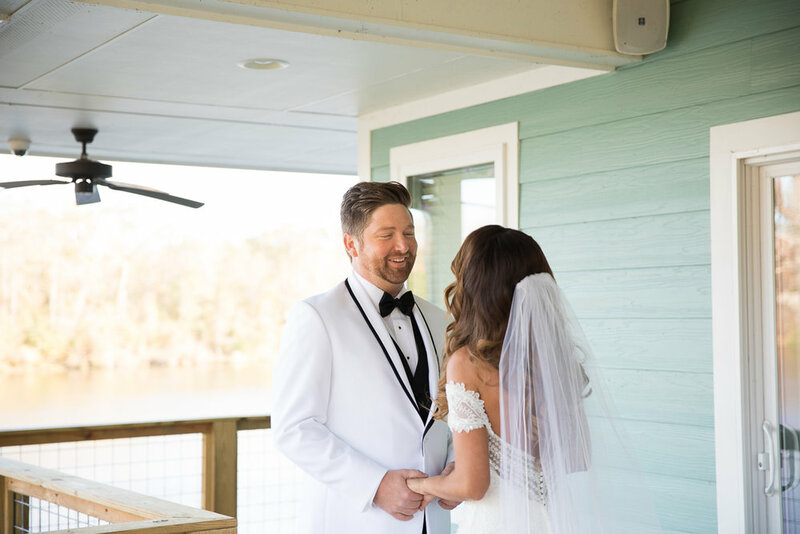 And if you want a First Look, but you're concerned that decision will mean less emotion at the altar, you can encourage joy & tears during your ceremony by including moments like a special song, personal vows, or sharing Communion. So don't worry, sweet brides - by thinking through each plan, you can positively address any potential "cons" with your wedding team, and design the experience that is PERFECT for you!